Grab your swimsuit and get ready for Summer in this wonderful 3 bedroom, 2 bathroom one-owner home in fantastic condition. This home has plenty of space to entertain with 2 living areas and 2 dining areas or use the formal dining as an office area. The open floorplan is light & airy with lots of natural light. The breakfast nook overlooks the gorgeous backyard and pool area. The owners have made several updates to the home like: New roof in May 2018, gutters 2018, tiled master bathroom floor in Feb 2019. The kitchen has stainless appliances and the refrigerator, washer, and dryer are negotiable. Amazing home in a popular area and school zone! Buyer and Buyer’s Agent to verify all information provided. Courtesy of Tier One Realty, LLC. Disclaimer: All data relating to real estate for sale on this page comes from the Broker Reciprocity (BR) of the Realtor Association of Citrus County Multiple Listing Service, Inc. 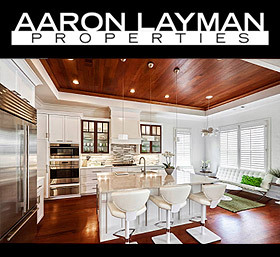 Detailed information about real estate listings held by brokerage firms other than Aaron Layman Properties include the name of the listing broker. Neither the listing company nor Aaron Layman Properties shall be responsible for any typographical errors, misinformation, misprints and shall be held totally harmless. The Broker providing this data believes it to be correct, but advises interested parties to confirm any item before relying on it in a purchase decision. Copyright 2019. North Texas Real Estate Information Systems, Inc. All rights reserved.